Do you guys like hats????????????????? Sure, why not? I have a duct tape fedora. My hat collection is numerous, and encompasses many styles. But I would very much like to see your duct tape fedora. Disk stole one of my hats, maybe you'd like to tell them, Disk. It is my hat now. 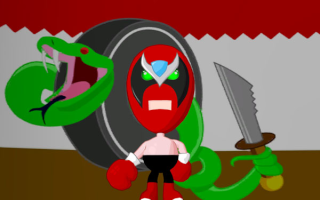 I wore my duct tape fedora in the Halloween special thing for Homestar Runner where did the costumes. Along with my dad's trench coat. And I stole an egg. You stole an egg to dress up as a detective who tracks down stolen eggs? That is so ironic that I think I just kind of egmsploded inside. Neil Patrick Harris is great. I have this great fedora that's on my head. It's long-brimmed, and it's gray, and classic, and I got it free.